The Givi E222 Specific Rear Rack for Honda XL 1000V Varadero / ABS (07-12) is part of the latest Givi collection. The Givi MONOKEY Motorcycle top box fitting system is the historical patented fitting system made by Givi, allowing both the opening of the case and the detachment of the case from the fitting frame using only one key. The extreme practicality and ease of use is only one of the characteristics that have made this system one of the most utilized in the world. Thanks to this system all the cases and frames of the MONOKEY range combine the best characteristics of mechanical resistance and rigidity of the fitting, with features using compact and light components. This particular Givi E222 MONOKEY top case plate is for the Honda XL 1000V Varadero / ABS (07-12). 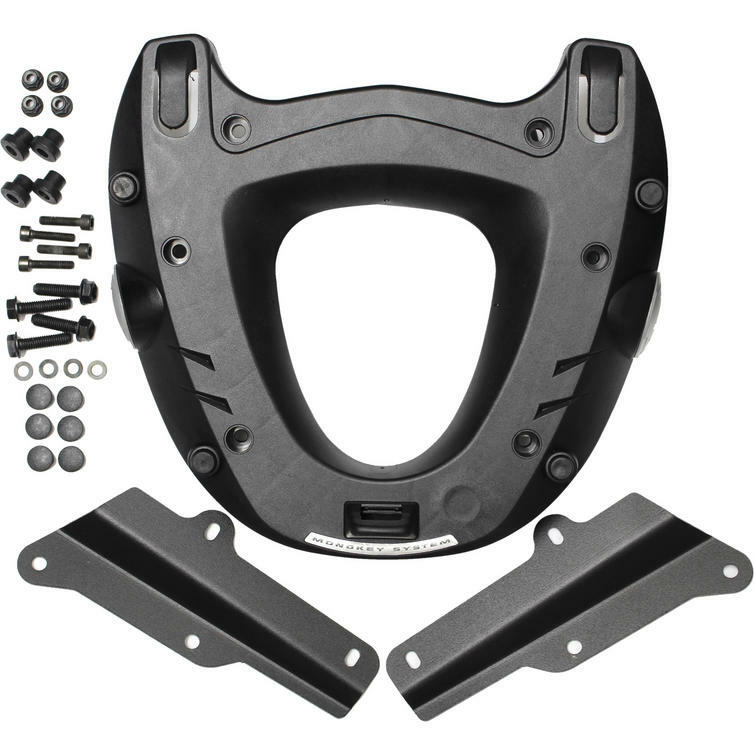 The kit includes both a Monokey plate, together with the brackets and fittings required to attach the plate to your bike.